Kudditji Kngwarreye was born around 1928 in Utopia, a community in the Eastern Desert about 230 km northeast of Alice Springs. He is one of the elders of the Anmatyerre language group and an important custodian of many important Dreamings. Kudditji is one of the first established male artists from Utopia. 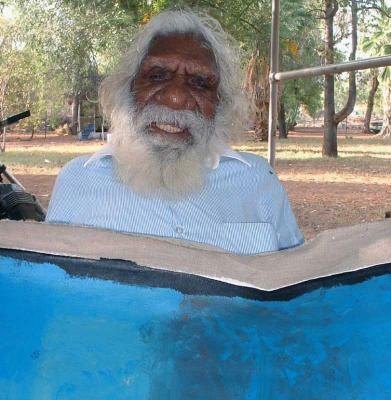 Kudditji began painting his Emu Dreamings in a precise ‘dot painting’ style. Later . . .